Unlike the previous years in the municipality of Tayasan, the town fiesta celebrated the Calle de Bailar 2018 instead of the Pasalamat Festival. Calle de Bailar is a Spanish phrase that translates to “Street of Dancing”. Click here to read more! 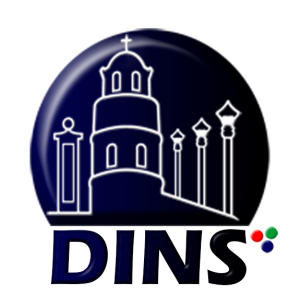 Another festival is proudly born in the soil of Negros Oriental. The Carabao de Colores 2018 was nothing else but a huge success at its first ever celebration last May 15 – 20, 2018. Aside from the actual festival there is also another great event…the Miss Carabao de Colores Festival Queen 2018. Read more here! For this year’s Tayasan Fiesta 2018, lads of activities are set for both the locals and visitors from all over the world. From May 08, 2018 till June 13, 2018 one can enjoy the merry making and activities! Click here to read more and see schedule of activities! The Carabao de Colores 2018 is a new celebration presented by the municipality of Vallehermoso. 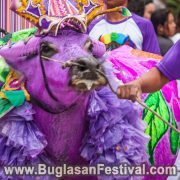 In the previous years, Vallehermoso celebrates its fiesta celebration with the Kanglambat Festival. 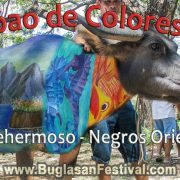 But for this year’s festivities, the town will be celebrating with the Carabao de Colores 2018. Click here to read more! The actual festival competition of the Pakol Festival 2018 took place around the town streets and the plaza last April 17, 2018. Colors of yellow, orange, green, brown, and blue flooded the streets as the sound of the drums washed the sleepy town of Santa Catalina. Click here to read more, see galleries and video! 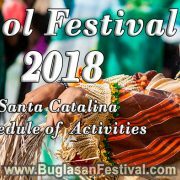 The Pakol Festival 2018 in Santa Catalina is here! Make you don’t miss the Coronation Night of Miss Santa Catalina 2018 and of course the actual Pakol Festival 2018 Street Dancing and Showdown Competition. Click here to read more and see the schedule of activities! The Libod Sayaw Festival 2018 Street Dancing and Showdown competition started in the afternoon with only five participation groups. Despite the blazing heat of the sun that afternoon, the dancers showed their great determination by doing their best with big bright smiles. Read more and view gallery here! The celebration of Pasayaw Festival 2018 in Canlaon City was nothing else but a huge success! With perfect sunny weather, colorful costumes and bright smiles, what else could you ask for? The Pasayaw Festival 2018 Street Dancing and Showdown was held last March 19, 2018. Read more. Click here to view gallery and video! 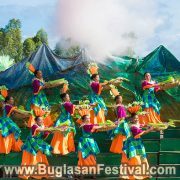 The Kapaw Festival 2018 in the municipality of Basay, is one of the most awaited celebration in the southern most part of Negros Oriental. 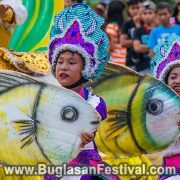 Basay is known through out the regional province for the great abundant harvest of marine resources like fishes and shrimps. Click here to read more and video gallery and video! 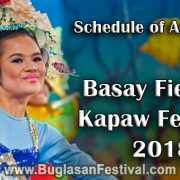 The Kapaw Festival 2018 & Basay Fiesta will be celebrated from March 11 – 18, 2018. Basay is located in the southernmost part of Negros Oriental, about 119 kilometers from Dumaguete City.other events to look forward to are: Miss Basay 2018 Coronation Night, Spear Fishing & Sugba-sugba Festival. Check Schedule here!